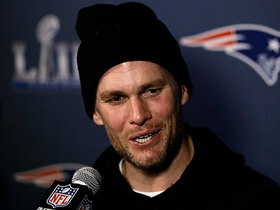 Develin played 30 of the Patriots' 72 offensive snaps Sunday and didn't log any touches during the team's 13-3 win over the Rams in Super Bowl LIII. 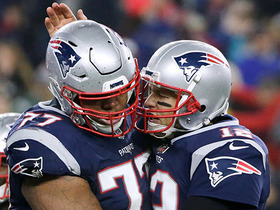 Analysis: Though he didn't get the ball in the Patriots' lone goal-line situation, Develin delivered a crushing block to pave the way for Sony Michel to score the game's only touchdown. Develin concluded the postseason with only three touches but should continue to earn plenty of field time in 2019 thanks to his reliability as a lead blocker. Develin finished the 2018 season with six carries for eight yards and four rushing TDs and 12 catches on 17 targets for 61 yards in 16 games. Analysis: In his role as the Patriots' starting fullback, Develin makes most of his impact as a blocker, but his occasional TDs this season put the 30-year-old on the fantasy radar in ultra-deep formats. Develin remains under contract with New England through the 2020 campaign, setting the stage for him to make random trips to the end zone once again next season. Develin did not log a carry or catch in Sunday's 24-12 win over the Bills. Analysis: Develin was on the field for 36 snaps Sunday, but the fullback wasn't part of the Patriots' game plan on offense, en route to going without a carry for the second straight week. He's still a threat to score the occasional TD, but that's not predictable enough for him to merit fantasy lineup consideration. Develin caught both of his targets for 18 yards in Sunday's 17-10 loss to the Steelers. Analysis: With that, Develin's improbable TD run comes to a halt. It's still possible that the Patriots' fullback will get some goal-line carries in the coming weeks, but when that doesn't happen, he doesn't see enough volume in other situations to make up for it. 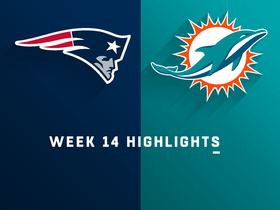 Develin scored a two-yard touchdown on his only carry in Sunday's 34-33 loss to the Dolphins. Analysis: The fullback has scored in two straight games and has four TDs over his last four contests, despite logging only six carries in that span. He'll remain a risky TD-dependent fantasy roll of the dice this weekend against the Steelers. Develin carried four times for five yards and scored a pair of short TDs in Sunday's 24-10 win over the Vikings. The fullback also caught one pass for nine yards. Analysis: Develin's name is going to stand out on waiver wires based on his Week 13 fantasy point total, but with just five carries through 12 games, banking on him making continued trips to the end zone (he also scored in Week 10) is a high-risk strategy. Develin scored a touchdown on his lone carry in Sunday's loss to Tennessee. Analysis: Develin hasn't seen much action this season, and he had zero rushing attempts entering Sunday's game. His one-yard touchdown appears more fluke than anything, and he still has extremely little fantasy value. 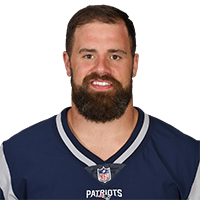 New England Patriots running back James Develin finds the end zone for the fourth time in four games on a 2-yard touchdown run. 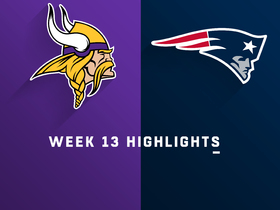 Watch the highlights from the Week 13 matchup between the Minnesota Vikings and the New England Patriots. 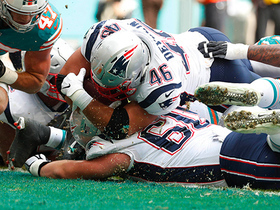 New England Patriots fullback James Develin rushes for his second touchdown of the game. New England Patriots fullback James Develin pushes through the line for a rushing touchdown. 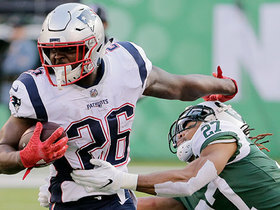 NFL Network's LaDainian Tomlinson breaks down how New England Patriots rookie running back Sony Michel dominated against the New York Jets. 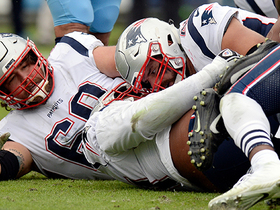 New England Patriots fullback James Develin takes his first rush of the season for a 1-yard touchdown. 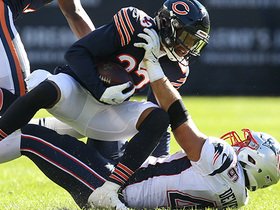 Chicago Bears safety Adrian Amos rips the ball out of New England Patriots fullback James Develin's hands and it goes to cornerback Kyle Fuller for an interception. 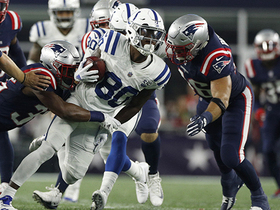 Indianapolis Colts wide receiver Chester Rogers returns a punt from New England Patriots for 33 yards.